Retro combat can be serious business, especially when the combatants are powerful samurai warriors. The first Samurai Gunn saw four samurai enter an arena and battle it out until only one player remained, putting everyone's reflexes to the test. Armed with only three bullets, these were often up-close clashes, where only those with the quickest reaction times were left standing. Now it's time for everyone to fight it out again, as developer Beau "Teknopants" Blyth returns with Samurai Gunn 2. On display at the Day of the Devs booth at this year's Game Developers Conference, Shacknews drew our sword and packed our bullets to step into battle once again. New samurai have stepped into the arena, as Samurai Gunn 2's character select screen looks noticeably more expansive than its predecessor's. The detailed character drawings quickly transform into pixelated sprites, who do battle with only a sword and three bullets. 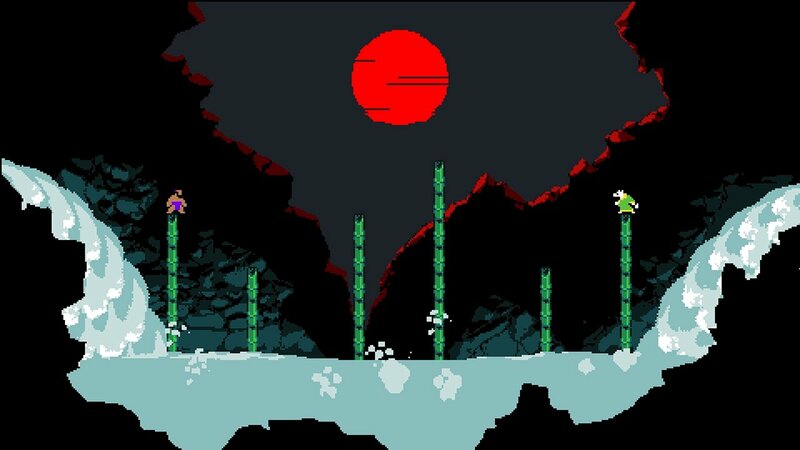 New to Samurai Gunn 2 is a dash move, which consumes one bullet. The dash allows players to close in on their opponents quickly, but also acts as a hard counter to sword strikes, with dashing players automatically parrying incoming blows. 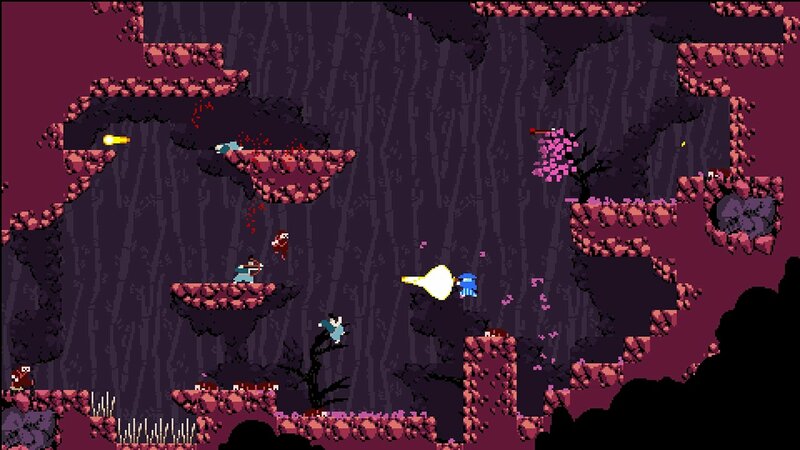 The dash makes Samurai Gunn 2's pace even faster than the previous game. With four players participating, deaths rack up rapidly. With the winner being the first to reach 10 kills, games can fly by surprisingly quick. If games are particularly close, with the top two players separated by only one kill, the ultimate victor will be decided by a one-on-one showdown. A returning feature from the original game, showdowns take place on a flat field where a sudden death format kicks in. The last player standing is the true winner. Stage hazards with destructible elements are also back. The bulk of my time with Samurai Gunn 2 was spent on a stage filled with thick grass. The idea was to slice all around to close in on opponents. If rocks were struck enough times with bullets or swords, they would become spikes. As more of the stage opens up, the more strategy is required. Players can either rush down their opponents or hide in pits and pop up to shoot their bullets across the screen. But given the game's overall pace, strategic players will have to think fast. Samurai Gunn 2 is evoking the kind of simplistic retro feel and competitive intensity that Towerfall introduced when it was first unveiled. The multiplayer contains all of the pleasures of the original game, but there's a major portion of the game that Teknopants wasn't ready to show off. Samurai Gunn 2 will feature a full-blown single-player story, which will be playable with a second player. More details on the story will be revealed soon. Samurai Gunn 2 hopes to draw its sword in time for a summer release, at which point it will release on PC and Nintendo Switch.